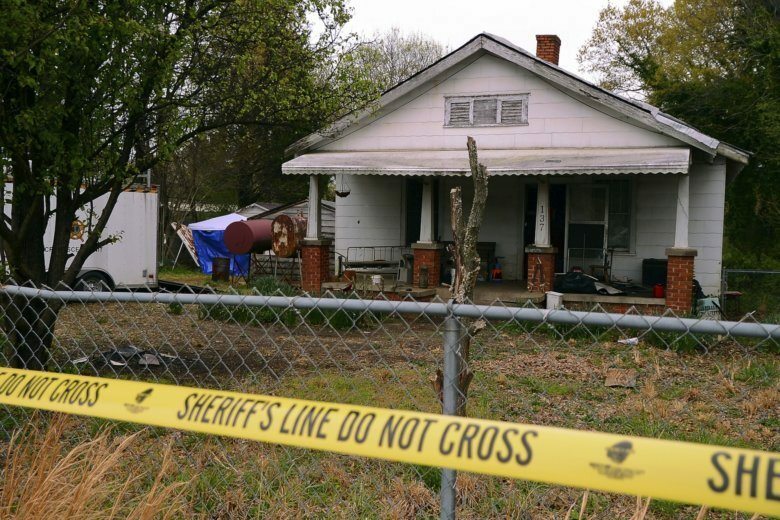 SPARTANBURG, S.C. (AP) — Two South Carolina men have been charged with murder after sheriff’s deputies found two bodies buried at a house just outside Spartanburg, authorities said. The arrests came after one of the suspects shot himself in the head in front of deputies, survived, and subsequently told deputies he’d witnessed the other man kill his girlfriend. Deputies say that on Friday, they found buried the bodies of 27-year-old Christin Renee Bunner of Spartanburg and 40-year-old Melissa Fairlee Rhymer of Mountville. Galligan is charged with Bunner’s death, while Hurlburt is charged with killing Rhymer. Both men are jailed without bail following a Saturday hearing. It’s unclear if they have lawyers who could comment for them. Officers were called to a local towing service Wednesday concerning a disturbance. Hurlburt, who lives on the property, wouldn’t follow deputies’ commands, took out a gun and shot himself in the head. Wounded, he called deputies to his hospital bed Thursday and told them about Bunner’s death, saying he helped bury the woman in the yard at Galligan’s house. Hurlburt later confessed that he’d killed a second woman and buried her at the house, where Galligan lived at one time. Deputies couldn’t find the bodies Thursday, but returned with cadaver dogs Friday. Authorities said the remains were found in graves that began about 18 inches (46 centimeters) below the ground. They interviewed Galligan on Friday, but released him after he demanded an attorney and asked to leave, said sheriff’s spokesman Lt. Kevin Bobo. Deputies say Hurlburt told them he killed the second woman at the towing company in January, but said he didn’t remember her name. She was identified as Rhymer using fingerprints. Rhymer had not been reported missing to local law enforcement agencies. Investigators said they don’t believe any more bodies are buried at the house.